First published in 1899, this beautiful, brief novel so disturbed critics and the public that it was banished for decades afterward. Now widely read and admired, The Awakening has been hailed as an early vision of woman's emancipation. This sensuous book tells of a woman's abandonment of her family, her seduction, and her awakening to desires and passions that threaten to consume her. Originally entitled A Solitary Soul, this portrait of twenty-eight-year-old Edna Pontellier is a landmark in American fiction, rooted firmly in the Romantic tradition of Herman Melville and Emily Dickinson. Here a woman engaged in self-discovery turns away from convention and society and toward the primal, irresistibly attracted to nature and the senses. 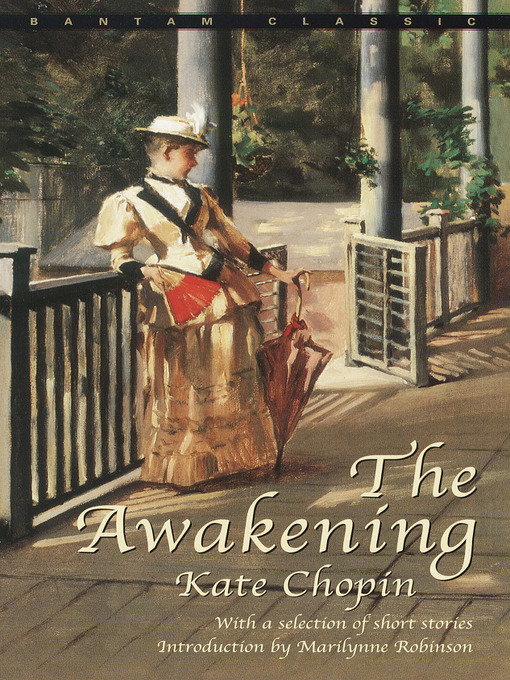 The Awakening, Kate Chopin's last novel, has been praised by Edmund Wilson as "beautifully written." And Willa Cather described its style as "exquisite," "sensitive," and "iridescent."